Sometimes, the total is greater than the sum of the parts. 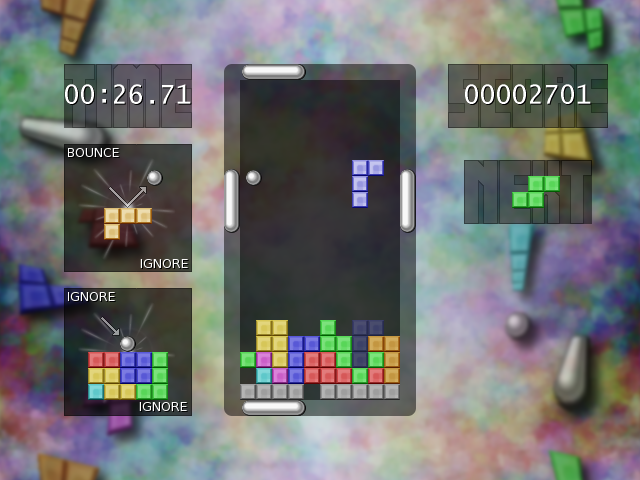 Tetris and Pong are classics, addictive and unshakable from their places in gaming history. TONG is the result of mixing the two, capitalizing on the essential qualities of each classic and adding new twists of its own to make an explosive chemical reaction out of it all. Why? Why play Tetris and Pong in the same place at the same time? It is weird, that's for sure. Tetris and Pong work different parts of your brain, parts that like to have your full attention to themselves. So right at first, TONG can seem a bit overwhelming. As it turns out, though, for all the zillions of variations and clones we've had of Pong and Tetris over the years, putting the two together actually makes the "twists" and "extras" make sense. In Arkanoid, Break-out, Brick-out, etc, what are these blocks doing in the middle of a Pong game? 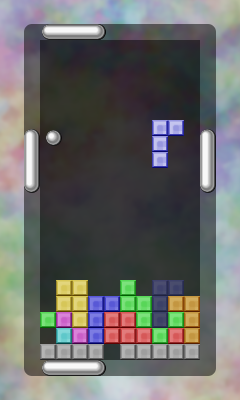 In various Tetris clones, where do the new, non-four-block shapes come from and what's with the explosives and other bonuses? Well, when Pong and Tetris are going on simultaneously and in the same space, all that stuff and many more clever ideas suddenly aren't little novelties, they're sensible parts of a frantic game. 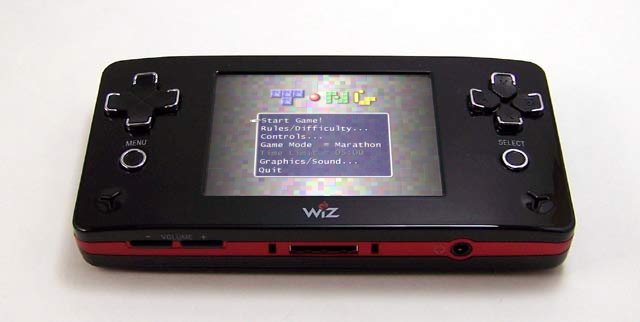 Props to JduranMaster and -=STUCKIE=- for beating me to it, but I now have an "official", volume-enabled, game-menu-ready GP2X/Wiz port! TONG is (was?) also in the Games section of the Source Mage GNU/Linux distribution. Packages are also available for FreeBSD, Arch Linux, and Gentoo. "this is the gold rush for the nerds. we must all cherish this game ....well, if its any good." "I did play it once; I'm still emotionally scarred!" TONG is free software (under the GNU General Public License), is being developed on GNU/Linux and should run on any platform that SDL works on. It requires SDL, SDL_image, and SDL_mixer. TONG has successfully been built for GNU/Linux, Win32, GP2X/Wiz, Nintendo Wii, and Dreamcast. Releases are made at arbitrary milestones, basically whenever I see fit to do it. :^) If anyone would like to volunteer for porting (should be trivial) and/or packaging binaries for Macintosh/OSX or any other platform, please do so, and let me know! I'll be glad to help out, credit you and/or distribute your ports/spin-offs here as well. If you want to play bleeding-edge TONG, grab it from CVS. You can also grab a Nightly CVS tarball. Comments? Questions? Feel like buying me a Pandora? ;^) Email me!